By now most of you have heard the speech delivered to Congress yesterday by Israeli Prime Minister Binyamin Netanyahu and also much of the commentary pro and con that has been on the web and the news channels. I thought it might be good to offer an insight into something you may not have heard or considered, the timing for the Prime Minister's speech, and how many different "calendars," both human and divine, play a part. First, a perceived calendar for the Prime Minister's speech, according to the democratic members of Congress and other critics both in Israel and abroad, was the Israeli election to take place on March 17. One house democrat called his speech "political theater," and other critics contended that his only purpose in coming at this time was to boost his ratings in Israel. However, as Jerusalem Post Political Analyst Caroline Glick forcefully stated in her pre-speech explanation for the Prime Minister's trip, the visit to the Congress at this time will likely harm, not help his political chances for re-election. Netanyahu's political opposition in Israel will claim the speech made him a political liability because it has weakened U.S.–Israel relations, even possibly threatening U.S. support for economic and political issues vital to Israel. So, while the speech came at a time near to the Israeli elections, it was not a factor in the timing, as the Prime Minister himself stated in his opening comments: "I deeply regret that some perceive my being here as political. That was never my intention." The imperative for the speech at this time, according to Netanyahu, was the scheduled negotiations between the U.S. and the Iranians in Geneva, Switzerland. This was taking place even as the Prime Minister spoke and will come to a resolution by the end of the month. If he was to convince the Congress of the threat to Israel and the world of a nuclear deal with Iran it had to be before this negotiation process reached a point of no return. The reason why such a deal, made with a terrorist state that imports terrorism throughout the Middle East and the world, is a "bad deal" was stated by Fox News National Security Analyst K.T. McFarland: "Iran will become a threshold nuclear power. They will pretend that they are not going to develop nuclear weapons, and we will pretend to believe them, but the reality is they will ignite a nuclear arms race in the Middle East and will introduce nuclear weapons into the same region that you have a genocidal death cult and radical Islam." While it is understood that the Obama Administration seeks to leave a legacy of disengagement and isolation and that such weakness is a sure sign to Middle eastern aggressors that they can do what they want, the Congress can act to protect the country (and Israel) from such a deal if it is seen to be detrimental to the future, a fact understood by the concession to Iran of no changes in its infrastructure, allowing for a short break-out time (time to amass enough weapons-grade uranium or plutonium to make a bomb). The deal is not yet done, so the hope remains of some political pressure being applied to forestall or amend the final agreement in some way. The day after the Prime Minister's speech was the celebration of the biblical event of Purim. This annual celebration was commanded in Scripture (Esther 9:26-28) because on that day when the ancient Iranians sought to exterminate the Jews in their region, God deposed their enemy (Haman) and gave them the means of defense against those who sought their destruction. While the Prime Minister could not have orchestrated the negotiations to take place at the time of Purim, it is apparent that God did. "We're an ancient people. In our nearly 4,000 years of history, many have tried repeatedly to destroy the Jewish people. Tomorrow night, on the Jewish holiday of Purim, we'll read the Book of Esther. We'll read of a powerful Persian viceroy named Haman, who plotted to destroy the Jewish people some 2,500 years ago. But a courageous Jewish woman, Queen Esther, exposed the plot and gave for the Jewish people the right to defend themselves against their enemies. The plot was foiled. Our people were saved. Today the Jewish people face another attempt by yet another Persian potentate to destroy us." The Bible reminds us that it is God "who changes the times and the epochs; He removes kings and establishes kings; He gives wisdom to wise men, And knowledge to men of understanding" (Daniel 2:21). Knowing that the LORD supports Israel, regardless of what a U.S. administration may do, is an incentive to wise men as to where they should stand at this pivotal time in history. It has been stated in discussions of the proposed deal that its restrictions would expire after a decade. Netanyahu stated, "a decade may seem like a long time in political life, but it's the blink of an eye in the life of a nation. It's a blink of an eye in the life of our children." However, while this may be a point of contention, the real problem inherent in the "10-year treaty" is how it is interpreted according to militant Islam. To understand the significance of this specific time period for a "peace" agreement with Muslims (including Shi'ia Muslims such as the Republic of Iran) we have to go back to the time when Muhammad was weak and he and his followers were persecuted by his own Meccan tribe of Quraish. Muhammad had to flee the city of Mecca for the city of Medina, some 200 miles away. There he was successful in gaining followers and returned to attack the Quraish tribe in A.D. 628. 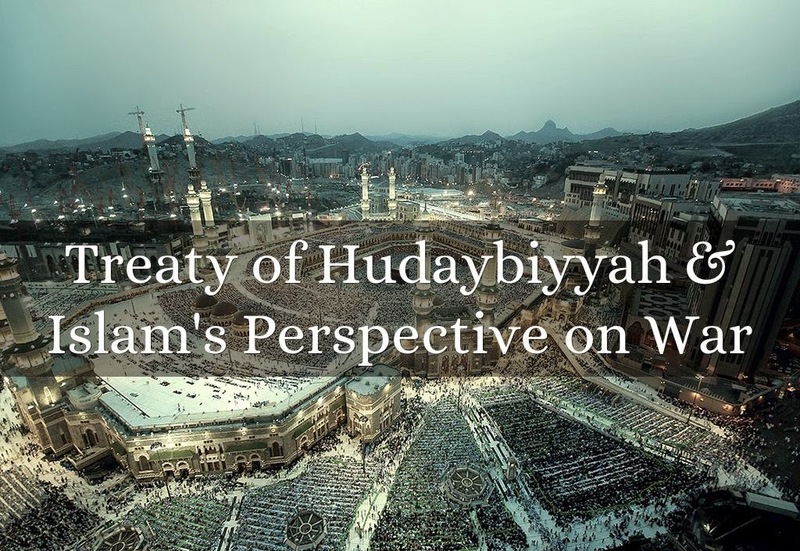 "This is the treaty of peace between Muhammad Ibn Abdullah and Suhayl ibn Amr. They have agreed to allow their arms to rest for ten years. During this time each party shall be secure, and neither shall injure the other; no secret damage shall be inflicted, but honesty and honor shall prevail between them. Whoever in Arabia wishes to enter into a treaty or covenant with Muhammad can do so..."
However, Muhammad's army was not happy with this treaty and in response he insisted that new revelation he had received granted them victory and the promise of much booty in the near future (Qur'an 48:18-19). This promise was fulfilled when after just two years, Muhammad was able to increase the strength of his army and attacked and defeated the Meccans. In other words, the 10-year peace treaty was only a temporary deception until Islamic forces were sufficiently strong to complete their mandated jihad. Back in 1994, shortly after the signing of the Declaration of Principles between Israel and the Palestinian Authority (a sort-of peace treaty as a part of the Oslo Peace Accord), Palestinian leader Yasser Arafat spoke in a mosque in Johannesburg and when asked why he had signed with the Israelis stated, "We are regarding this treaty as no different than that made with Quraish!" What he was saying was that the Palestinian Authority, as an Islamic authority, had no intentions of preserve peaceful relations with an enemy of Islam and that as soon as it was possible they would renew the jihad (intifada). Now, just as then when President Bill Clinton presided over a doomed peace process, deception was the order of the day. "After many days you will be summoned; in the latter years you will come into the land that is restored from the sword, whose inhabitants have been gathered from many nations to the mountains of Israel which had been a continual waste; but its people were brought out from the nations, and they are living securely, all of them. "And you will go up, you will come like a storm; you will be like a cloud covering the land, you and all your troops, and many peoples with you" (Ezekiel 38:8–9). The "land restored from the sword" is Israel and refers to its present restoration as a State after the demise of the Ottoman Empire. The "mountains of Israel" refer to those areas recovered for Israel after the Six Day War and the conditions of regathering to the land "from many nations" refers to the past and on-going aliyah (immigration) to Israel from all over the world. Therefore, the setting for this future invasion, on the divine calendar, is at a time when the present conditions exist along with the possibility of an alliance between the Russians and the Iranians (as well as the other countries mentioned). Certainly these conditions exist at the present time as well, and while no one can know when this event will occur, these facts help us understand when it could occur. 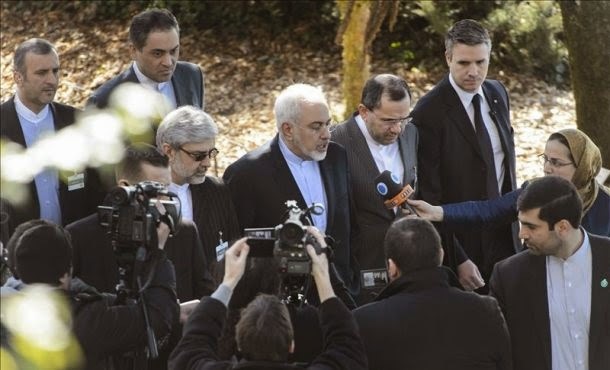 Indeed, such a nuclear deal with Iran as is now in the works, the increasingly aggressive behavior of the Russian leader Putin, and Turkey's new trend toward Islamic militancy and declared hatred of Israel, appears to move us closer to the realization of such an event, whenever it might occur. "I charge you in the presence of God, who gives life to all things, and of Christ Jesus, who testified the good confession before Pontius Pilate, that you keep the commandment without stain or reproach until the appearing of our Lord Jesus Christ, which He will bring about at the proper time—He who is the blessed and only Sovereign, the King of kings and Lord of lords; who alone possesses immortality and dwells in unapproachable light; whom no man has seen or can see. To Him be honor and eternal dominion! Amen" (1 Timothy 6:13–16).